For Quebecers, the St. Lawrence River is the heart of Québec and thus of profound importance. It was the gateway through which the first European settlers arrived in North America and a source of their economic, social and cultural development in the centuries that followed. In sum, the St. Lawrence River shaped Québec as we know it today. The shores of the river and its tributaries are home to over 80% of Québec’s population, and 50% of Quebecers get their drinking water from these watercourses. 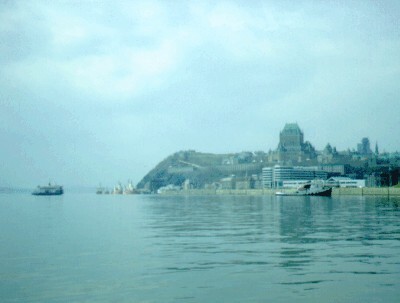 Over time, the concentration of human settlements on the shores of the St. Lawrence River and its tributaries, coupled with substantial industrial and agricultural development, led to major environmental problems. At the beginning of the 20th century, the St. Lawrence was thought to be relatively safe from pollution, but by the end of the 1970s, despite its impressive flow, the river was no longer effective at diluting the wastewater discharged into it. The river had become so degraded that fewer and fewer recreational activities were being carried out there and a number of fish species were seriously threatened. Faced with the accelerated degradation of the river’s water quality, the Québec government took immediate action by creating programs to curb the different sources of pollution diminishing the quality of the St. Lawrence and its tributaries. Among others, in 1978 the Québec government set up a highly ambitious water treatment program (Programme d’assainissement des eaux du Québec) under the responsibility of the Ministère de l'Environnement. The program included three components: urban, agricultural and industrial wastewater treatment. The efforts and initiatives undertaken by the Québec government and its socioeconomic partners since 1978 to clean up, conserve and protect the St. Lawrence River and its tributaries constitute unprecedented and key milestones in this regard. They paved the way for coordination and harmonization agreements between the governments of Canada and Québec, the first of which, the St. Lawrence Action Plan (SLAP), was signed in 1988. The SLAP was renewed in 1994 as St. Lawrence Vision 2000 and again on June 8, 1998, for another five years. On November 29, 2011, the governments of Canada and Québec announced their joint 15-year commitment to the conservation of the St. Lawrence River. The agreement, known as the St. Lawrence Action Plan (2011-2016), ensures that Canada-Québec collaboration on the St. Lawrence River, which dates from1988, will continue. The Overview of the State of the St. Lawrence River 2014 was prepared as part of the State of the St. Lawrence Monitoring Program. The overview, which shows that the St. Lawrence River’s bill of health presents a fragile balance, was prepared by five partners: the Ministère du Développement durable, de l’Environnement et de la Lutte contre les changements climatiques du Québec, the Ministère des Forêts, de la Faune et des Parcs du Québec, Fisheries and Oceans Canada, Parks Canada and Stratégies Saint-Laurent, the latter being a non-governmental organization that works actively with riverside communities. In order to assess the state of the St. Lawrence River ecosystem and its evolution, the partners selected a series of environmental indicators that are related to the river’s main basic components: water, sediment, biological resources, shorelines and usage. These indicators are all included in the partners’ permanent data acquisition programs.